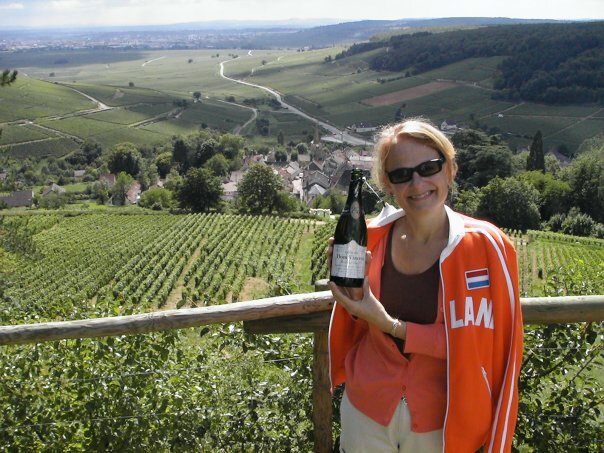 Last month my husband and I were on a mission … an OLD mission in search of great wine! 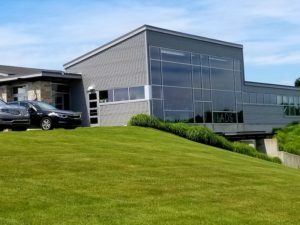 Traverse City, Michigan is a fun, hip, bustling city! If that’s not enough, only 15 minutes away is pure paradise … the Old Mission Peninsula! Old Mission feels like Sonoma about 30 years ago. You feel isolated from the rest of the world, but it’s right there, 15 minutes from this fabulous big little city! We fell in love! 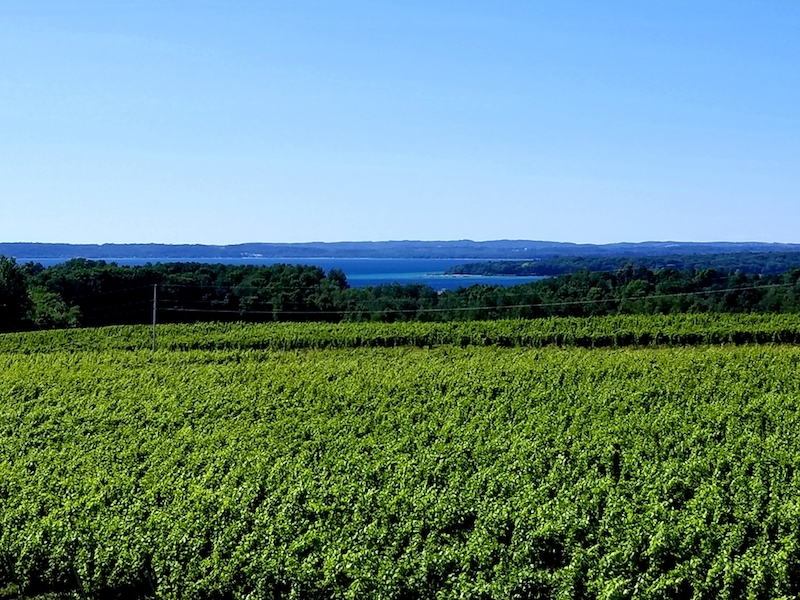 This 22-mile long peninsula juts out into the middle of Grand Traverse Bay and in some areas is only one mile wide, offering gorgeous views of water both east and west, with lovely vineyards in between. And these vineyards are producing some dang good wine! 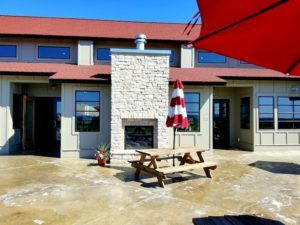 Our first stop was 2 Lads Winery. 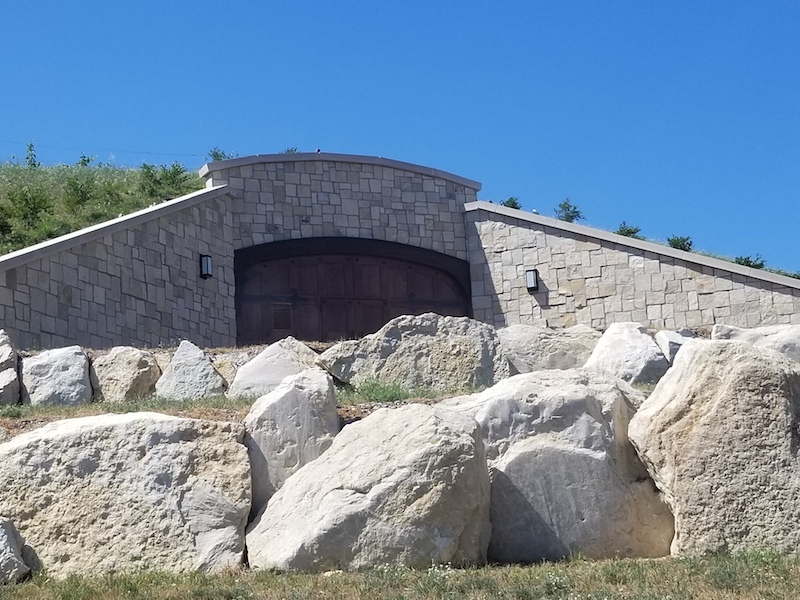 They have a 10,500 square foot facility with a fabulous tasting room, offering amazing views while checking out their wines. They sustainably farm their vineyards producing some really tasty stuff! I especially enjoyed the 2017 2L Vineyard Riesling and the 2015 Sparkling Rosé. 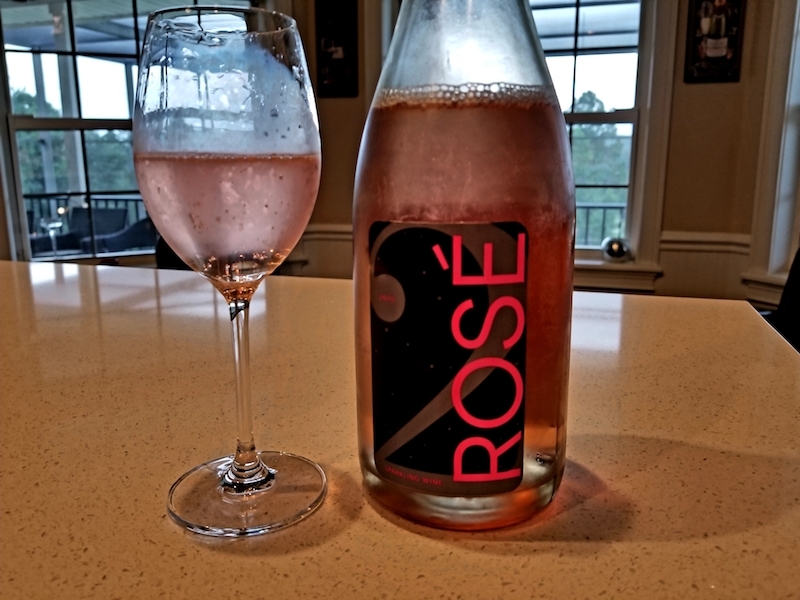 The sparkler is 100% Pinot Noir and has strawberry, cranberry, and really nice acidity. They close it with a crown cap, which I thought was pretty cool! 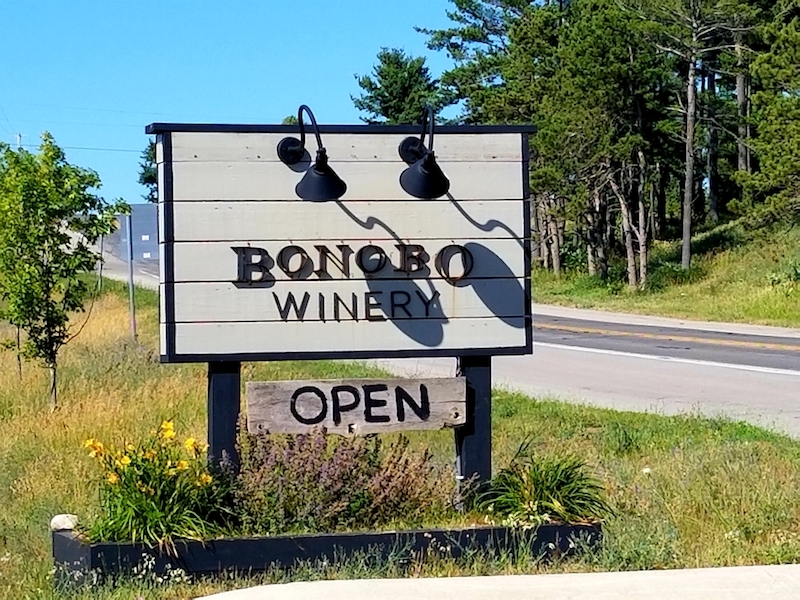 Another winery I really liked was Bonobo. If you’re a watcher of HGTV you may know one of the owners … Carter Oosterhouse. He and his brother Todd and their wives Amy (an actress who I happen to love!) 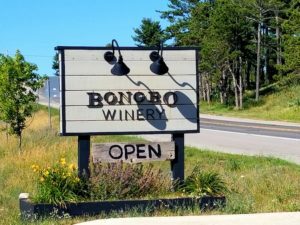 and Caroline, opened Bonobo Winery in 2014. 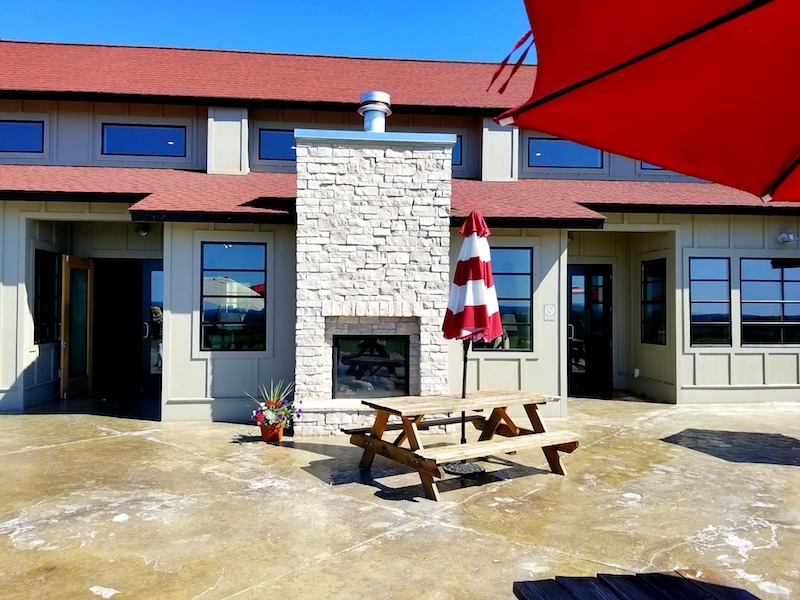 You can tell that the chic, rustic, cozy tasting room (with multiple fireplaces and comfy sitting areas) was designed by a pro! Their wine is darned good too! 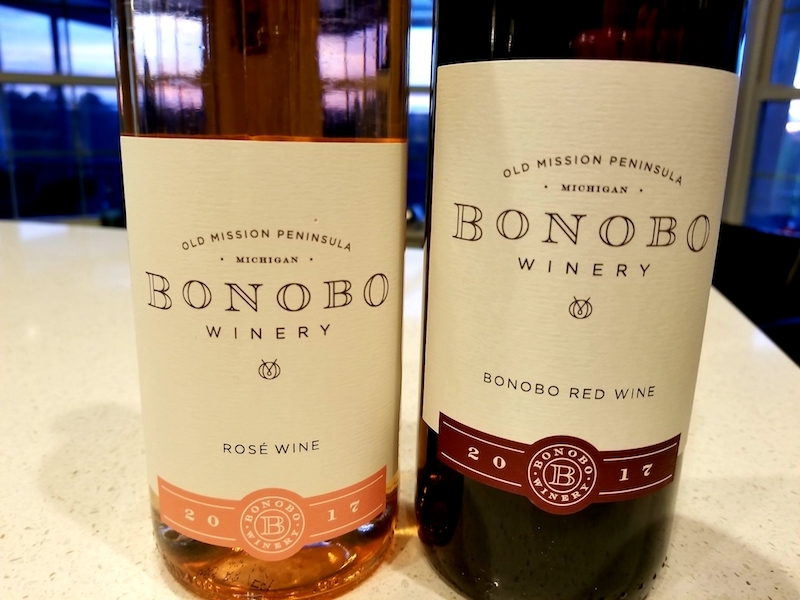 I really dug the 2017 Rosé and the Chablis-like 2017 Chardonnay C. My husband bought a couple of the oaky and fruity 2017 Bonobo Red, a blend of 60% Pinot Noir and 40% Merlot, which he looks forward to enjoying with a cigar! They also have a nice food menu. 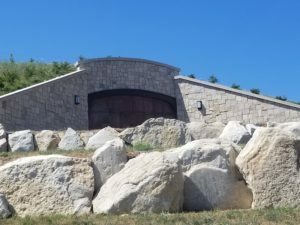 My favorite winery we visited on Old Mission? 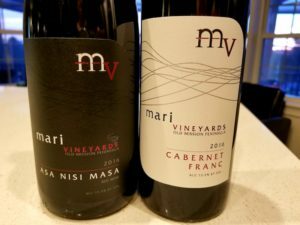 Mari Vineyards! Looking back at my tasting notes, I pretty much rave about all of the wines, so I’ll fill you in on three of my favorites! 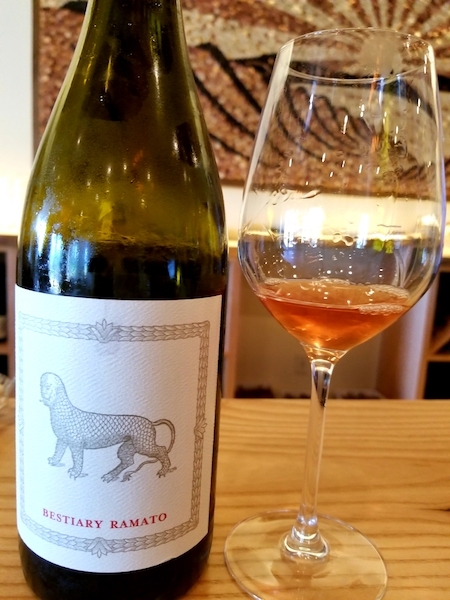 2017 Ramato – Wow! 100% Pinot Grigio, this wine had been fermented on the skins (like an Orange Wine!) for 35 days. The skins’ already pink hue along with the long maceration results in an awesome colored wine! Is it a cross between a rosé and an orange wine? Perhaps. They call it a “copper” wine, and has baking spice, dried tropical fruit and will pair with a ton of dishes! Seek this out if you can find it! 2016 Bel Tamonot – This is a blend of 40% Merlot, 35% Sangiovese, 15% Cab Franc and 10% Refosco. This wine is well balanced with bright cherry and plum! 2016 Asa Nisi Masa – 40% Malbec, 33% Nebbiolo and 20% Syrah, this has dark chocolate shavings, dark fruit, and good tannins. After our tasting with Renee (who was fabulous! ), we headed out to the deck. I really wanted a glass of the 2016 Simplicissimus (a sparkling Riesling) which they don’t sell by the bottle). 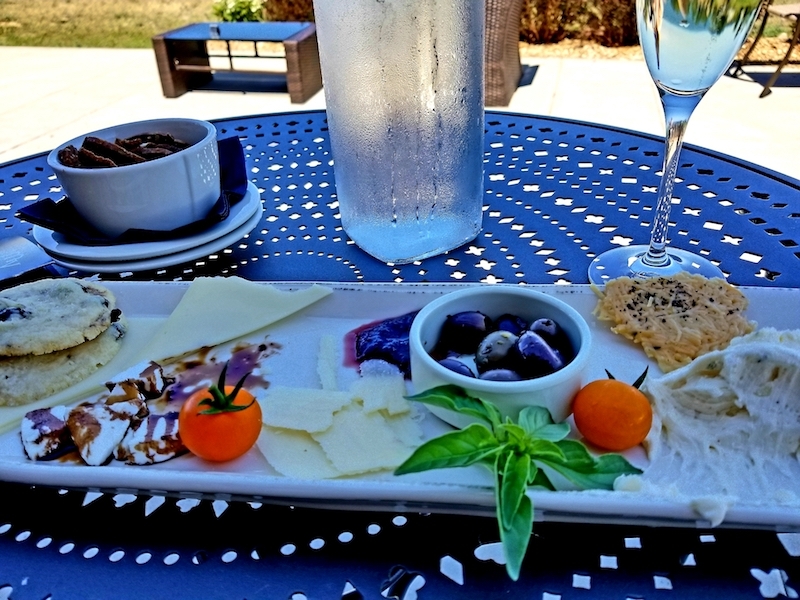 We ordered a delicious cheese plate to go with our wine, sat on their deck, enjoyed the view of their vineyards and Grand Traverse Bay and didn’t want to leave. Seriously, we didn’t want to leave. But all good things must come to an end, so we forced ourselves to move on! As I said earlier, we fell in love with Old Mission Peninsula. Traverse City is a blast, there are lots of great restaurants and breweries nearby, the area’s wineries are making some top-notch wine, and the place is GORGEOUS! If you’re on a mission for some great wine in a gorgeous setting, put this peninsula on your bucket list.